Highlights Incandescent Aquarium Bulbs | Zoo Med Laboratories, Inc. Zoo Med’s Highlights Incandescent Aquarium Bulbs are a new addition to our aquatic line of products. The bulbs are gel-coated with color, rather than paint, so the color will not chip or wear off. 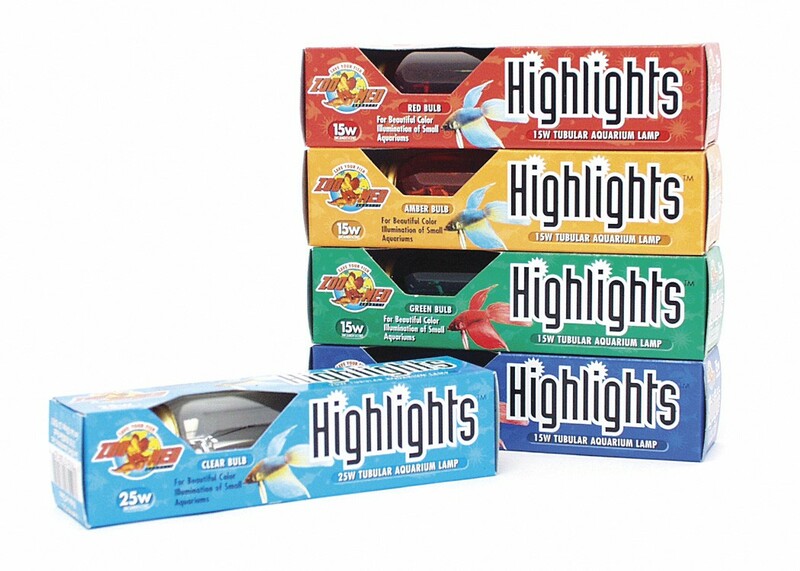 Available in five colors, our Highlights are ideal for small aquariums.